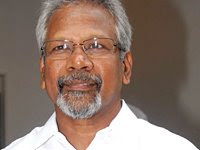 Ace filmmaker who revolutionized cinema, Mani Ratnam, has been admitted to a private hospital in Chennai, following a mild heart attack last night. His condition is reported to be stable. He was here in the city yesterday, to inaugurate a pediatric ward at the Adiyar Cancer Institute. He was admitted to the hospital with a complaint of breathing difficulty and chest pain last night (14.04.09) and is reported to have suffered a mild heart attack. Doctors attending him in ICU informed that his condition is stable, and will be kept under observation for sometime. The cause of concern is that he had survived a heart attack earlier in 2004, during the filming multi-starrer, bilingual ‘Yuva’. Mani Ratnam is currently working on the big budget film tentatively titled ‘Raavan’ starring Abhishek Bachchan, Aiswarya Bachchan and Vikram. He was preparing to leave for Kerala to proceed with the filming in Chalakudy forests this week. With this unforeseen event and doctor’s prescription of few weeks of bed-rest, the shooting has been postponed for now.